In this episode, I interview Andy Crestodina, author of Content Chemistry and co-founder of Orbit Media (a Chicago-based web design agency). Andy has also written for Social Media Examiner and he’s a Google Analytics expert. 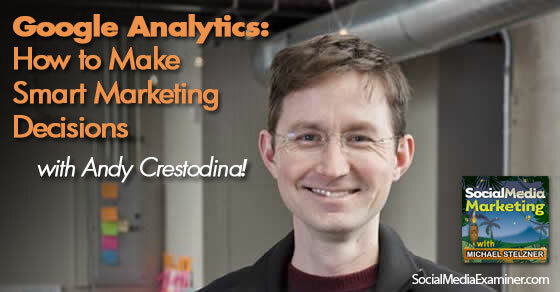 Andy shares how to use Google Analytics to help you make informed marketing choices. You’ll discover why analytics are so important to your business success and step-by-step instructions on how to get started. Why go beyond the basic metrics of blog comments, social share numbers and page views? Andy explains that these basic metrics will not give you return on investment (ROI) information. The formula he uses is traffic × your conversion rate = success, which can be leads, subscribers or ecommerce customers. The more you’re aware of how things are connected and the deeper you look down the funnel, the more equipped you’ll be to make better decisions. 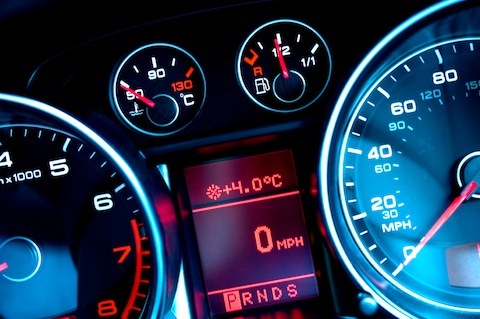 It’s just like the dashboard of a car. You’ll hear what happened when I looked a lot deeper into the analytics of a Social Media Examiner article that ranks number one in Google search, and why it made me realize that it wasn’t doing as well as I thought. Just because one of your blog posts is ranked high in Google search doesn’t mean that it’s meeting your business objectives. As a marketer, you need to reprogram your mind to what really matters, and it’s not what immediately meets the eye. Listen to the show to find out why it’s so important to pay attention to the conversion rate. Do you need to be a data nerd to benefit from all of this? Andy says that you don’t have to be a data nerd. The only math you need to know is that anything times zero equals zero. Andy relates it to a Magic 8 Ball. You can ask a question, shake up the analytics and find the answer. As a marketer, you need to know how to look at these numbers. It gets easier over time. For every action you take, you can measure it and see if it works, and then make improvements. Listen to the show to find out why Google Analytics is similar to using Photoshop. According to Andy, it always comes down to the setup of Google Analytics. There are two or three basic steps you need to take in the Admin section of Google Analytics that make your data much more meaningful. One of the first things you need to do is filter out the traffic from your own IP address. Until you do this, your analytics will be polluted by your own activity. Within the Admin section, you can create an IP address filter. Filter out your IP address in the Admin section of Google Analytics. To find out what your IP address is, just type “What is my IP?” into Google search, and it will give you the number. 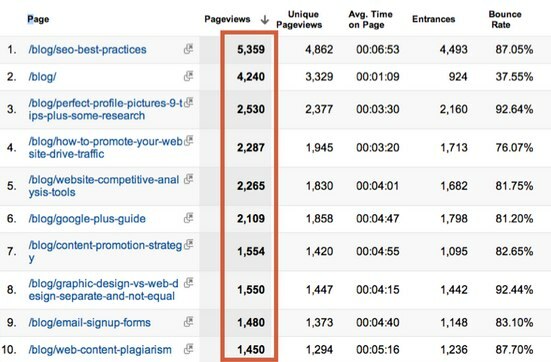 You’ll discover what to do with this number in the dashboard to ensure your results are more meaningful. The next step (which is important) is goals. Until you set up your goals, you’ll only have half of the picture. Listen to the show to find out what’s important if you are a relatively low-traffic site or you’re into content or social media marketing. A conversion is when a visitor takes an action on a website. There are different types of conversions and analytics that you can set up, which are based on the amount of time users have spent on a site or the number of pages they visit. A goal is when someone makes it to your thank-you page. For example, when they subscribe to a newsletter, buy a product on an ecommerce site, become a lead on a lead generation site, apply for a job or register for an event. In total, there are approximately 13 different types of actual conversions. An example of a thank-you page. People only get to your thank-you page if you have a form on your website or blog. Once the visitor has arrived at the thank-you page, Google can recognize it as a conversion. Listen to the show to hear the other advantages of having a thank-you page. You first need to set up a goal in Analytics for each different type of conversion. For most businesses, it will be for lead generation or email newsletter subscriptions. Once you do this, you’ll get a lot of reports and can start to make better decisions. Each of these actions will have a different process. You’ll have a form on the website for each one, and you need to make sure that the actions are simple. 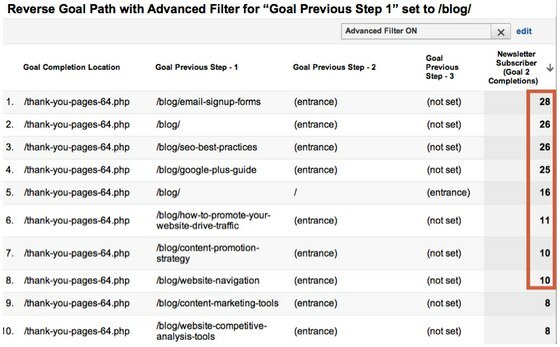 It’s easy to set up each thank-you page in the Admin section of Google Analytics as a different goal completion page. The analytics for each goal completion. Once you’ve set up your analytics, you’ll see your traffic sources, visitors who saw each piece of content, repeat or new visitors, how long people spent on your site and which of these correlates with the visitor taking your most desired actions. You’ll hear Andy explain why some marketers go overboard when they create goal completion pages and why you shouldn’t have too many of these on your website. Listen to the show to find out why it’s important that each action has a unique page. From the goals you’ve set up, you can start to understand which of your pages are the most compelling and the most magnetic. This is extremely useful information. If you have a blog that people can subscribe to from any page (like Social Media Examiner), you’ll need to follow all of the steps below. First, find the number of subscribers per post. Step 4. Now export these numbers to a spreadsheet. Next, you’ll need to see the page views for all of your posts. You’ll be able to see each page’s views. Step 7. Within the spreadsheet, divide the number of total subscribers by the number of page views. You now have the conversion rate per blog post. This is what Orbit Media’s report looks like. You’ll notice that the pages with the highest page views are not always those with the highest conversion rates. Once you know what your top converters are, put on your traffic-driving gloves! Listen to the show to discover what date ranges work best, depending on the type of business you have. Now that you know which content is more compelling, you can start to promote it in different ways. For example, put your best content on the front lines, use it in heavy rotation for social media or link to it within other blog posts. You might also choose to produce more content along the same lines, as the topics obviously appeal to visitors. You’ll also find out what other opportunities are available for this type of content. To check traffic sources, Andy likes to look at the Referral report. However, if you look at Acquisitions/Referrals, it’ll show you the referring websites—a lot of which are social networks. Once your goals are set up, on the right-hand side you’ll see what people are doing. For example, people who come directly from Facebook to Orbit Media’s site to subscribe to the newsletter almost never become leads. The insights you gain will help you gauge and optimize your activity to make better decisions. 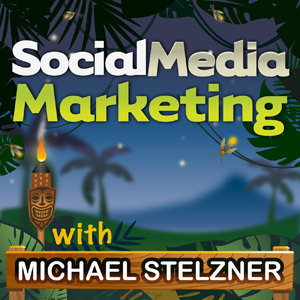 Listen to the show to discover the type of analytics we track at Social Media Examiner. Andy explains why it’s misleading just to look at the total raw numbers. For example, if 5% of your visitors from a particular network take an action, you think you’ve hit the jackpot—but in reality, if there are only 20 visitors, you don’t have enough data to make an informed decision. If you want to dive down to a specific tweet/link and track its conversion, Andy advises that you use the Google URL Builder. This will turn out a different report in Analytics called the Campaign Report. It’ll show you the specific number of people who clicked on an individual tweet or anywhere you used the Google URL Builder to create that link. 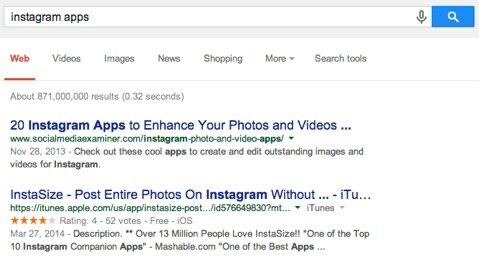 Use the Google URL Builder to dive down to a specific link or tweet. You’ll hear Andy explain in step-by-step detail how you can find exactly where people came from to get to a specific page. This gives you insight into what content is performing well and poorly on each platform. You’ll also discover what the Social Trackbacks category has to offer. If you don’t want to go deep within Google Analytics, then Andy shares an easy way for you to add reports to your dashboard, and have the report emailed to you. He also shares a pro tip. You have to use Analytics to measure your progress. It’s the only way to know what’s working. Check out the full podcast episode with Andy Crestodina. Listen to the show to learn about the Google Analytics Solutions Gallery, and how it can help you gain more insights. Recently our extremely high-end servers at Social Media Examiner were used as a weapon to attack other servers all over the world. We didn’t notice because it didn’t seem to have any impact on the servers’ performance. If you have a WordPress blog, there is a chance that you might have some malicious code somewhere on your blog, which can sit latent for years. It only takes a troll to activate something, and then use your domain as a weapon. As we weren’t prepared for this and it obviously came as a shock, I want to share some advice with you, so hopefully you won’t be in the same position someday. To make sure that your servers are clean, I would recommend that you use a plugin called Anti-Malware by GOTMLS.NET. Once you have it installed, you can carry out a scan. It’s like running a virus checker on your computer, except it’s inside of WordPress. You can tell it what directories to scan, and then you run the campaign. Use the Anti-Malware plugin to make sure your servers are clean. They have definition updates that are regularly released. It’s free to use, but donations are encouraged. We ran this on all of our websites and malware was found—even on old blogs that we haven’t used in a very long time. This is very important. So if you’re having performance issues on your blog, it might be that your blog is being used for outbound attacks. I hope you check it out. 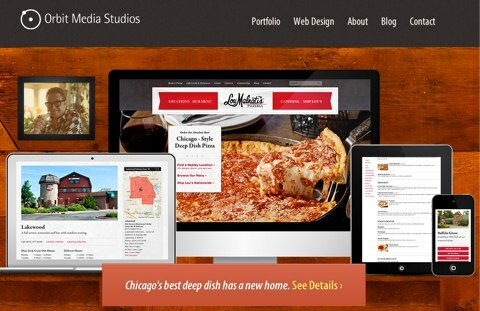 Connect with Andy Crestodina on his website. Head over to Orbit Media’s blog. Check out Andy’s new book, Content Chemistry. Look at Social Media Examiner’s article, 20 Instagram Apps to Enhance Your Photos and Videos. 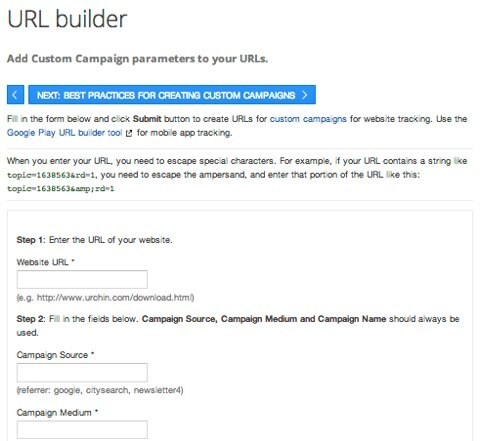 Use the Google URL Builder to dive down on a specific link or tweet. Learn more about the Google Analytics Solutions Gallery. Use the Anti-Malware by GOTMLS.NET plugin to help clean your servers. What do you think? 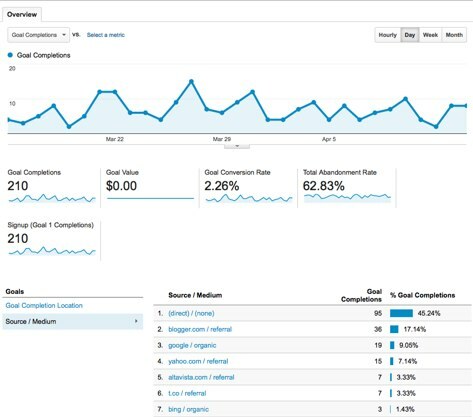 What are your thoughts on using Google Analytics to help you make smarter marketing decisions? Please leave your comments below.